Our fishing charters are a great way to see the island, all while catching dinner. 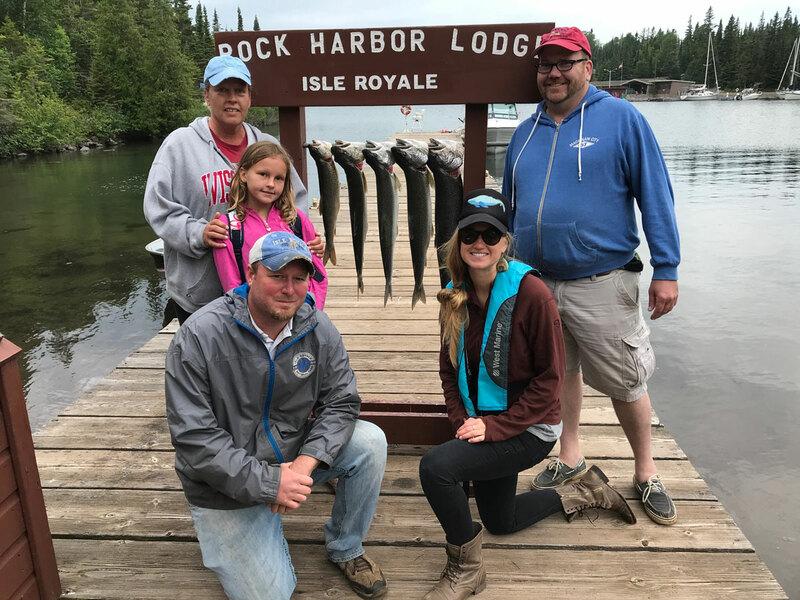 Rock Harbor Lodge offers half day fishing charters for up to four people maximum. Our captains are very experienced and very passionate about fishing. 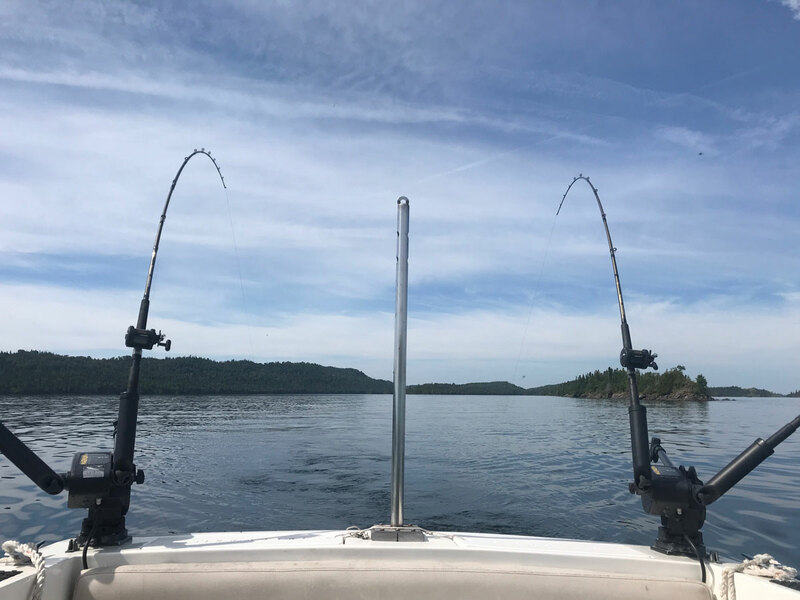 Your fishing charter comes fully equipped with everything you’ll need to catch fish and stay safe, aboard an inspected 24' charter boat operated by a U.S.C.G licensed captain. 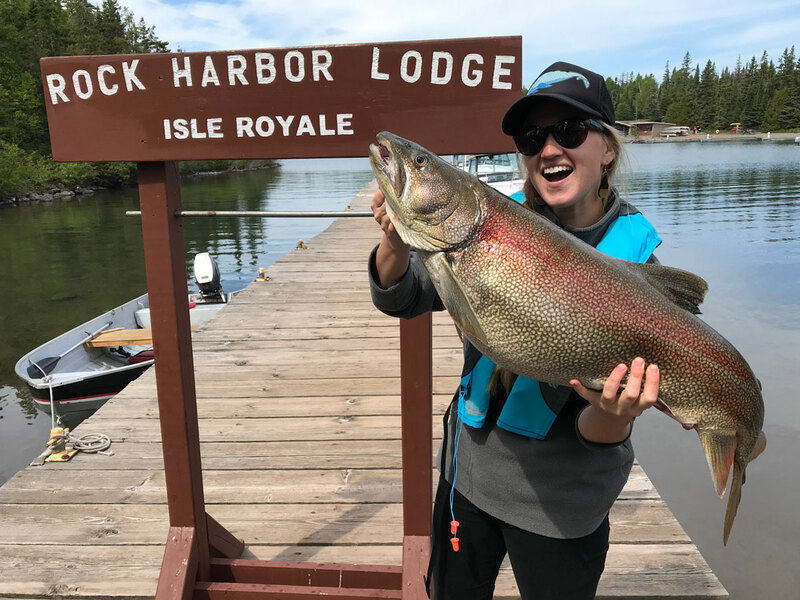 You will primarily be trolling for Lake Superior lake trout, as well as salmon. 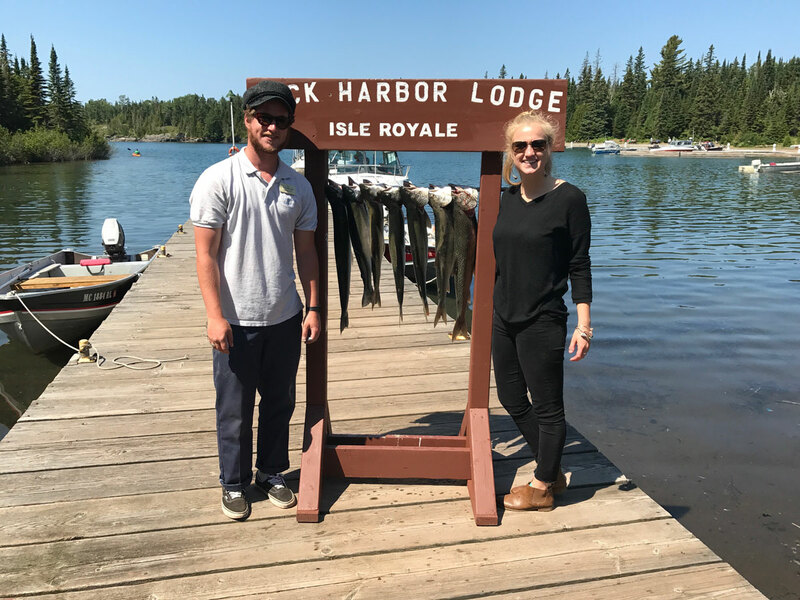 Fishing on Lake Superior waters surrounding Isle Royale requires a State of Michigan DNR fishing license, sold at the Lodge Office, once you check in for your fishing charter. 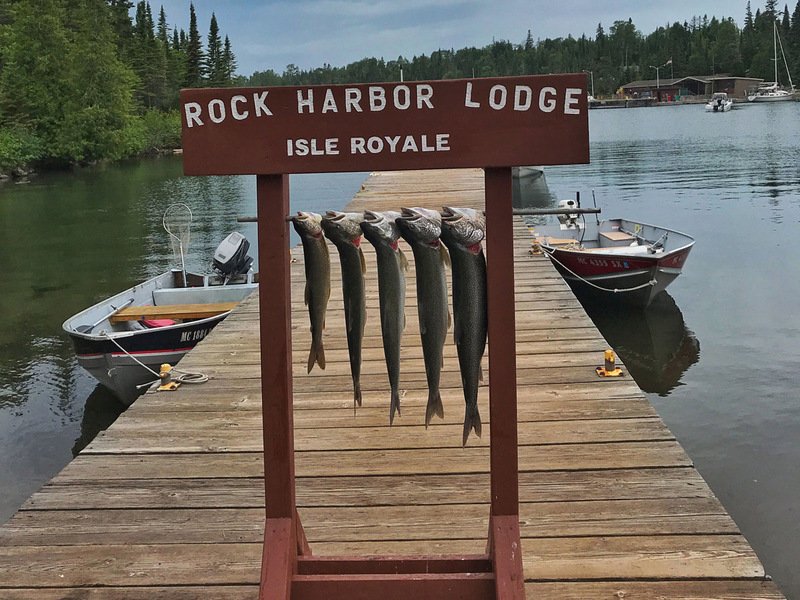 Rock Harbor Lodge participates in Catch and Cook, so the Lighthouse Restaurant can cook your catch for you once you return! If you are not interested in consuming your catch immediately, we can also package and freeze your catch for you to bring back with you. 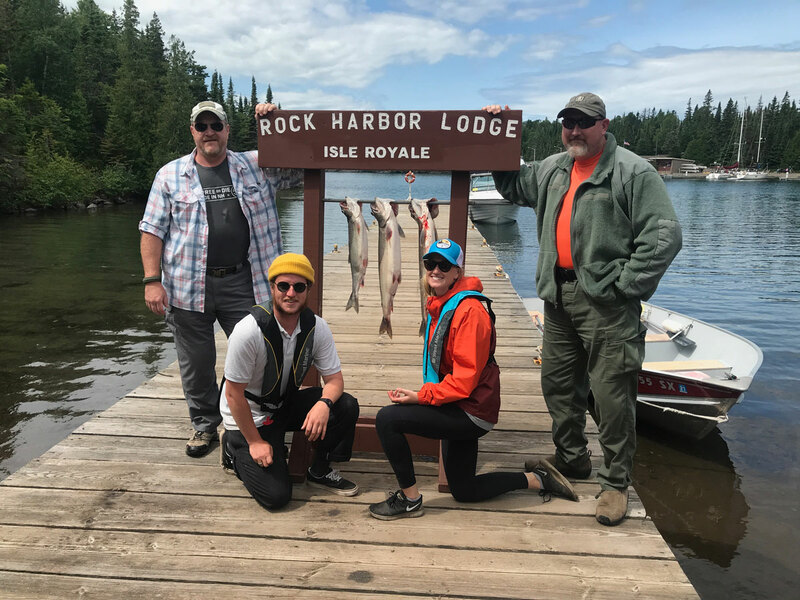 Call the Lodge Office to schedule a fishing charter. If you decide you would like to take one out while you’re staying with us, check with the lodge office about availability. 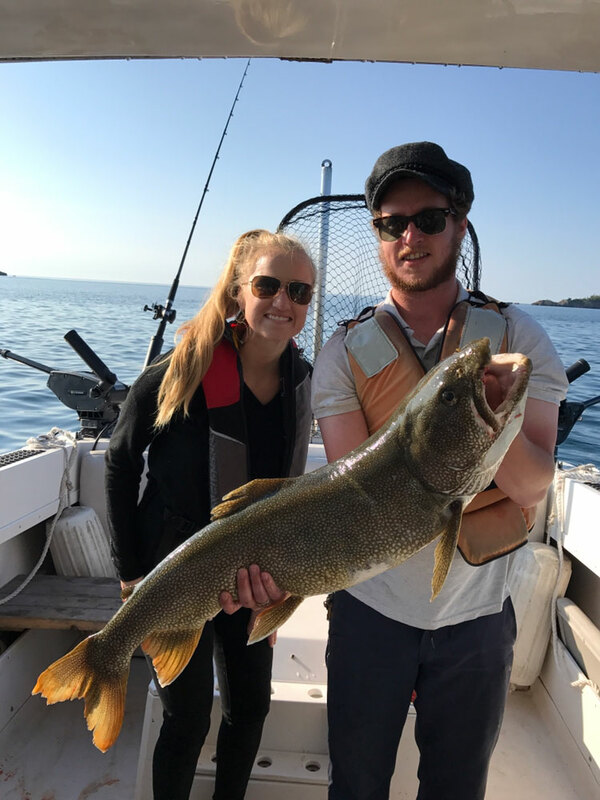 Fishing Charters are not limited to Lodge Guests. If you are not staying with us, you are more than welcome to book a charter! Please remember, all watercraft activities are subject to lake and weather conditions.